After comparing vacuum cleaners in the key metrics of stairs vacuuming ease, suction power, features, price-to-performance ratio and reviews, we conclude that the Dyson DC33 is the best vacuum for stairs. The telescopic wand will take a bit of practice but once you get up to speed you’ll love vacuuming stairs with the Dyson DC33. It picks up everything. Staircases and stairwells present unique challenges to the vacuum cleaner. 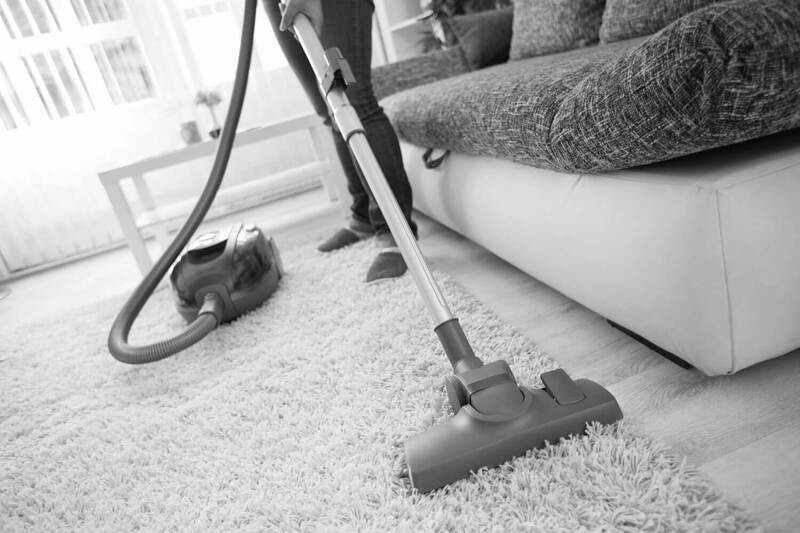 You’d want to avoid heavy and unwieldy vacuums unless you treat vacuuming the stairs as healthy workout every time. Even then, you will always find tight places on the stairs that are impossible for full-size vacuums to reach. There are two approaches to solving the stair vacuuming problem. The first approach is to buy another vacuum that’s perfect for your stairs and use your main vacuum for everything else. This is what you should do if you love your current vacuum cleaner despite it being inadequate for stairs. The second and third approaches are to start from scratch. 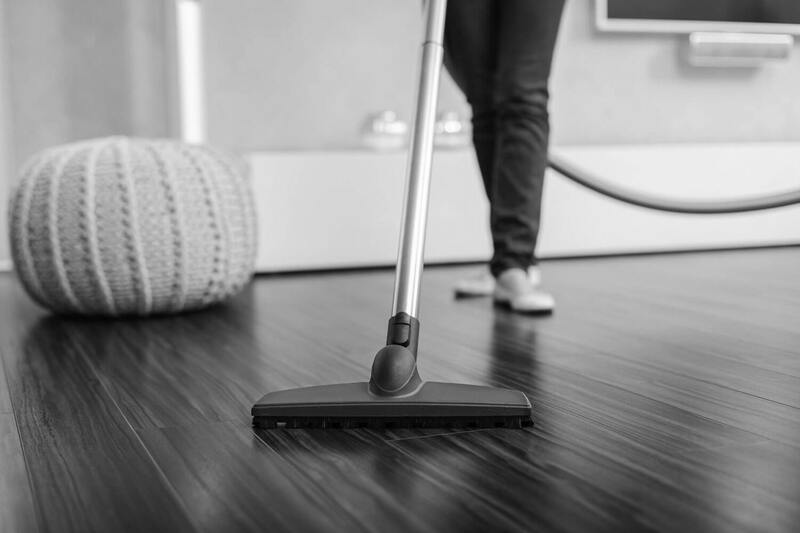 You can either shop for a regular vacuum that can do a good enough job on stairs or look for the best vacuums designed for stairs that happen to be good at vacuuming everything else. There’s nothing wrong with any of the above approaches. Close your eyes, imagine a peaceful scenery, and pick one! As long as it makes you happy, do not let anyone dictate to you how to choose the best vacuum for stairs, except it doesn’t hurt to listen to our advice. So here we go. The Shark Navigator Pro looks like a full-size upright vacuum cleaner but Shark’s Lift-Away feature converts it to a canister vacuum. It is fairly light at 13.7 pounds fully assembled and less than 10 pounds in the Lift-Away configuration, so it’s very easy to carry and vacuum on stairs. This is one of the internet’s best-selling vacuum cleaners for its great performance at a rather modest price. People love its Lift-Away feature where you can lift away the canister containing the motor assembly and dust container from the assembly. Besides Lift-Away, the company has many other catchy names for its numerous features and technologies. One of them is the Never Lose Suction technology featuring suction and filter designs that won’t affect suction power as the dirt gets lifted clean off the filter. It comes with these useful attachments: dusting brush, 8” crevice tool, Pet Power brush, and Dust-Away hard floor attachment. The crevice tool is invaluable for stairs with hard-to-reach places. Stairs are the magnet for pet hair and the Pet Power brush is the perfect tool against it. 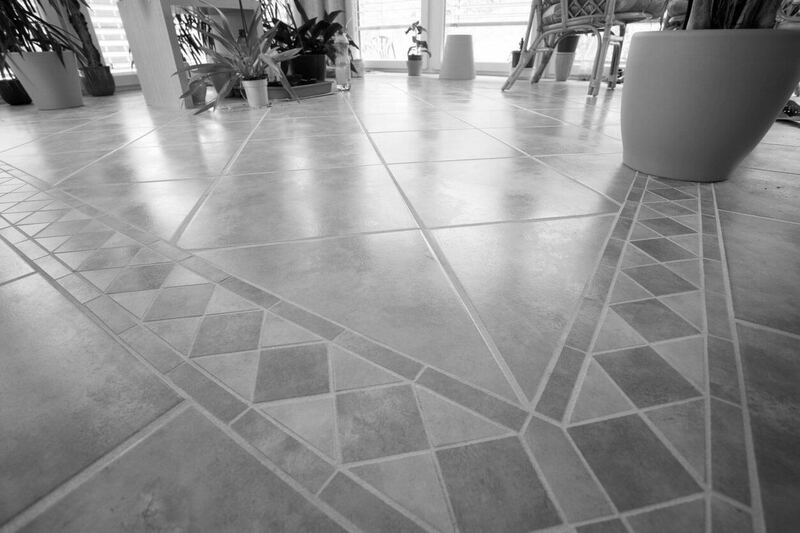 The Dust-Away attachment makes the Shark Navigator Pro equally at home on hard floor as on carpet. One common complaint about this vacuum is its short wand in Lift-Away mode. It’s light enough that you might as well just go up and down the stairs with it. 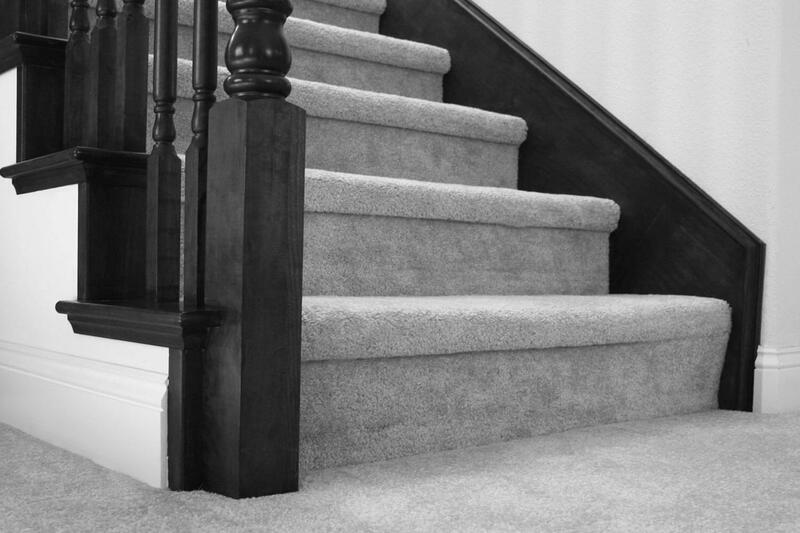 If you already own a heavy-duty vacuum for the level floor, the best approach is to get a specialized vacuum just for stairs. Cordless hand vacuums are particularly convenient for stairs and we like the Black + Decker CHV1410L for its low price and outsized performance. The B+D CHV1410L is a cordless hand vac powered by a 16V Lithium ion battery. The battery is rated to hold its charge without fade for up to 18 months. The most annoying thing about cordless tools is a lame battery but there’s no such problem with this hand vac. If you haven’t vacuum your stairs in a month (for whatever reasons), just grab the CHV1410L with the supreme confidence that it’s going to punish all the annoying dust gathered on your stairs. It’s an exhilarating feeling that words can’t do justice to. You simply must experience for yourself. The cyclonic suction is so powerful that this small vacuum can pick up large dog kibbles right off the ground. This means it’d do a marvelous job on your stairs because no one should have dirt particles larger than dog kibbles gathering on the stairs, right? The slim nozzle is small enough to reach tight places and powerful enough to pick up things in its vicinity. Included are a brush attachment and a crevice tool. 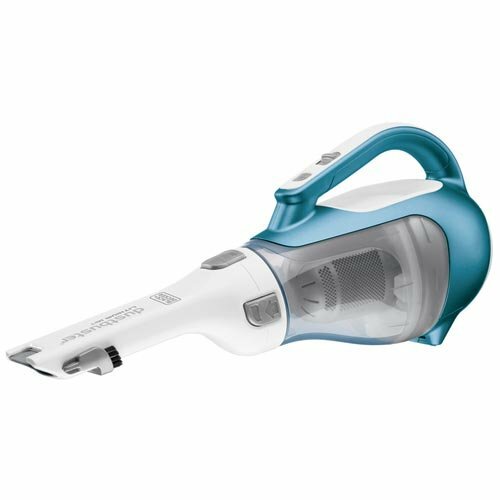 This easy-clean bagless vacuum comes with a 2-year manufacturer warranty. The Dyson DC33 is an upright vacuum designed to clean multiple flights of stairs with ease. At a glance, the DC33 is as imposing in looks and capability as the big Dysons but you’ll be pleasantly surprised by its light weight of only 17.6 pounds. This vacuum’s telescopic wand is the reason it’s so awesome at vacuuming stairs. 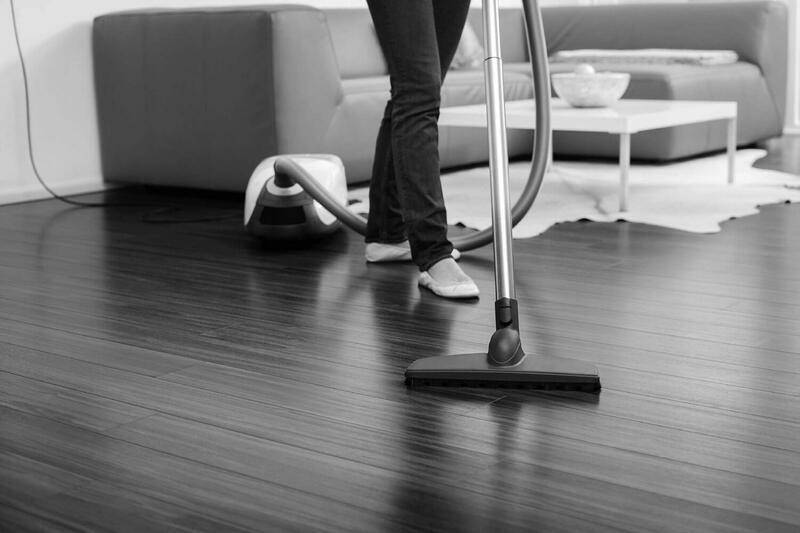 The wand can extend up to 14.4 feet so you can just leave the vacuum at the bottle and clean a full flight of stair. 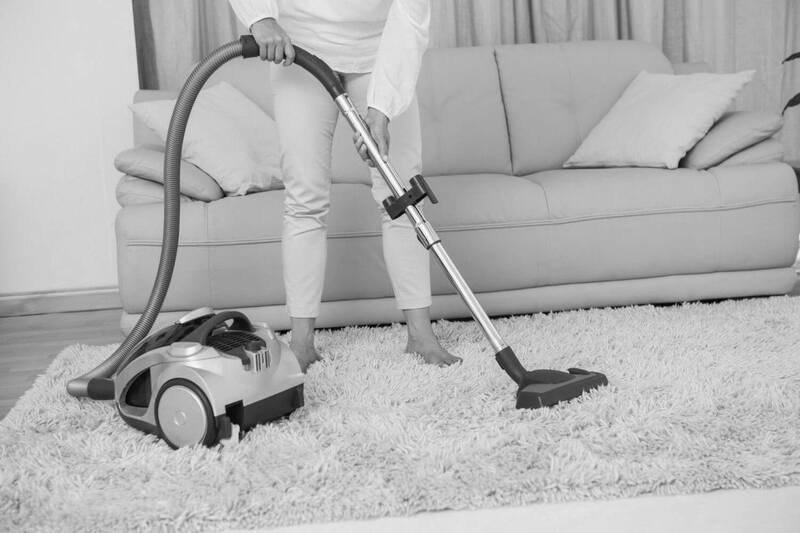 If it’s a breeze to clean one flight of stairs with this vacuum, it is two breezes to clean two flights of stairs, three breezes to clean three, four breezes to clean four… and so on, though if you have more than four flights of stairs at home you can probably afford to hire a maid. Dyson’s patented Root Cyclone technology spins the air at extremely high speeds to generate centrifugal forces thousands of times higher than gravity to fling all debris off the airflow and into the container with authority. There’s no loss of suction like with bagged designs and the Dyson HEPA filter’s ability to trap minute particles down to 1/5000 of a pinhead means there’s no sacrifice in hypoallergenic property as is the case with a typical bagless design. The Dyson DC33 is one of Asthma and Allergy Foundation of America’s certified asthma and allergy friendly vacuums. Like all Dysons, the DC33 is built to last. The factory warranty is 5 years for both parts and labor. The best vacuum for stairs for those who already owns a trusty upright vacuum is the Black + Decker CHV1410L. This cordless hand vac is powerful enough to clean any stairs, even carpeted stairs. For the best deal in a vacuum that cleans everything well, including stairs, go for the Shark Navigator Pro. This vacuum is wildly popular for a good reason – it’s an all-purpose workhorse! Our best vacuum for stairs period is the Dyson DC33 Multi Floor. The DC33 is a vacuum designed to clean multiple flights of stairs. It happens to be just as competent at vacuuming flat surfaces, as you would expect from a Dyson.